Femina Miss India 2014 is at its peak where 25 most beautiful girls of India are competing to win the 3 most coveted crown of Fbb Femina Miss India 2014. The winners shall get a once in a lifetime chance to represent India at international pageants like Miss World 2014, Miss Earth 2014 and Miss Supranational 2014. There are lost of creative changes that has taken place in Femina Miss India this year and is full of excitements, especially the move of Femina to conduct a Multimedia award which helps fans to follow their favourite very closely through the social medias. Fake votes 4 El Salvador!!! Yoshiki all the best dear. Hum logon ne din raat continuously apke liye vote kiya. Mere pure college ne tumhare liye vote kiya hai. Humara ip address bht baar freeze bhi hua kyuki votes bht zada aa rahe the apko pura india se lekin phir bhi aap haari nahi apko har taraf se votes milte rahe. all the best Yoshiki …you nailed it ! You are awesome Yoshiki. My multi-talented friend and you deserve Crown. 50 of my friends voted continuously Yosh! You are going to win! Yoshiki ……….best of luck and give your best …….we support you from all around the globe …..
All of our friends from all around the world, are voting for Yosh. Good luck! Don’t worry Yoshiki, we all are voting continuously for many days, no sleep, just voting. Don’t you think If you are voting for Malati, there are other people as well who are voting for others? Mind your language mr. who so ever you are. if you dont have any knowledge about computers then better you shut and think millions of time before raising finger towards TGPC website or anyone. having patience is always a key to get better alternative ideas in mind and success. fixed contest hmari voting site baar baar block kar re h bharast bharat ….best of luck sister malati……saala yha b sab bikta h…. The reason for blocking voting site is with cookies we guess..!! Technical issues..!! Can u try from some other system..?? Blocking option is nt at all in our hand..!!! There must be some technical issue at ur end..!! Can u please send us a screen shot?? Let us see what exactly the problem is..!!! Good luck dear.. All Dhuaan community supports you . Malti dear aap hi jitogi, dnt worry …. Good job Sanjay keep it up. my dear sister we are voting for you don’t wrrryyyy………………….BEST OF LUCK!!!!!!! All the best. You can and you will do it. Hari uncle and Babita aunty. Medhini Ignoor deserves it for sure! Malathi Cahar you deserves miss INDIA..all the best sister! Medhini Igoor Will Win for Sure..
All the best MEDHINI IGOOR. my village person so happy and bless u…..
best of luck. malti chahar…. malati chahar will be the upcoming miss india……. Rock the world malati ..u deserve this crown. All the best. AMARJOT KAUR ….. go go go !!! Malati chahar is win this session femima miss india 2014. Oh Lala,look at manasi grewal,she is so hot.Winner for sure! Yoshiki u r best. keep rocking! Assam rockz…guyss hurry up..Vote for Jantee Hazarika..My vote goes to Jantee…U have to win Jantee…..
all the best maalti chahar. gud luck..! Manasi Grewal Is The Best!She Is The Strongest Contender for Miss India & Has The Best Face Out Of The Lot. I vote for Medhini Igoor…All the best..
Medhini Igoor all the way!!!!! My vote goes to malati chahar. My vote goes to malati chahar . Good luck Yoshiki. You’re going to win definitely!!! Medhini perfectly strikes the balance of beauty and brains ! I think Medhini Igoor’s got all the requirements plus more!! Medhini is hawt and beautiful. Medhini, you definitely deserve to win. Come home with the crown! May God be with her!!! Yoshiki sindhar is gonna be an miss femina…..
Go Yoshiki, best of luck! Yoshiki Sindhar…. You will most definitely win, without a doubt. ADITI VATS u r truly beautiful…. u rilli deserve to b here… u r HOTNESS. Adit Vats u r the best among all. U r the truly deserving. 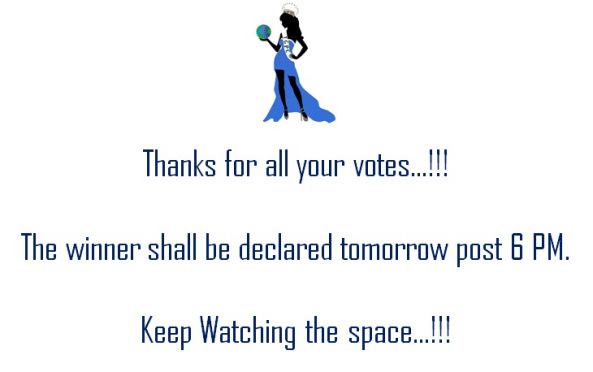 Deepti Sati you deserve the crown……..